When it comes to addictions, and they are not just to drugs or alcohol. There are also additions to people, relationships and situations. 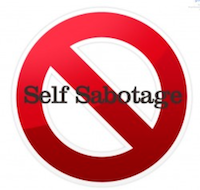 Few things are more frustrating than dealing with the issue of self-sabotage. Just when it seems everything is moving in the right direction, the tendency to revert back to old behavior patterns, thoughts and activities rears its ugly head. The guilt, shame and despair leaves everyone bewildered and feeling hopeless. Fortunately, it is possible to break the cycle of self-sabotage once you learn how to recognize and identify the signs and solutions. Negative Self-Talk: This self-defeating behavior is a direct result of fear and anxiety. Family and friends tend to “argue” or “rationalize” the feelings but it rarely does any good since the person still feels anxious and fearful. Past experiences often create a vicious cycle of fear and failure. The Solution: Confidence comes with growth and success. The individual must learn new skills and understand that it takes time. Spiritual Counsel provides an opportunity to voice fears in a safe place while learning the skills needed to succeed. Procrastination: Many people suffering from an addiction desperately want to “make it up” to those they love by doing whatever they think will make others happy. The lack of direction, guilt and tendency to please others creates an unhealthy situation that leads to frustration. The Solution: One of the key elements in working with a counselor is the ability to develop meaningful goals and objectives that reflect the hopes and aspirations of the individual – not others. The process can be frightening especially for those who have a strong desire to please others and may not even know what they enjoy or aspire toward. Non-Realistic Expectations: The tendency to make a problem larger than life or minimize the seriousness of a situation is a common theme among those dealing with issues of addiction. Perceptual problems are a symptom of the addiction itself. Remember, the disease of addiction actually interrupts brain function, disrupts thoughts process and impedes coping mechanisms leading to perceptual problems. The Solution: Clear thinking takes time. Spiritual counseling helps by building coping mechanism, Spiritual strength re-evaluating life experiences and teaching life skills that were missed due to the reliance upon drugs or alcohol or situations. Supportive measures including medication, exercise, diet, socialization and other therapeutic activities designed to help restore proper functioning so the person is able to learn new coping mechanism and how to properly evaluate and respond to life events. Excessive Emotionalism: Excessive emotionalism takes many forms; from an angry outburst to crying binges or even a lack of appropriate emotion. 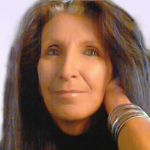 The root cause is complex, ranging from feeling overwhelmed by ones emotions to the fear of letting go of the pain. The Solution: Learning how to properly deal with emotions in a healthy way doesn’t happen overnight. Spiritual Counseling allows the person to test emotions and practice their response in a safe and supportive environment. It is often necessary to learn how to make peace with the pain in order to let go and grow. The ability to learning how to regain control of excessive emotionalism. This entry was posted in Love & Relationships, Uncategorized and tagged self sabotage on May 6, 2015 by Dr Sunny Marie.